What is your opinion of adoption today? Are you in favor of or against adoption, and how do various circumstances affect your opinion? Has your opinion changed over time? If so, what caused you to rethink your former opinion? What do you think is the biggest need for change in the adoption industry or is the current model for adoption fine the way it is? Adoption will always be needed for some situations, safety, addiction issues, or even if the mother just does not want to parent and has no desire for children. Adoption should never again be considered the solution to a societal issue like it was during the Baby Scoop (my era), whatever the societal issue – tackle the issue, don’t slap the band-aid fix-all “adoption solution” on it. Of course my opinion has changed over time – as a young teen before I understood societal issues, my feeling was if babies needed adopted, they needed to be adopted by adoptees, because they would understand the feelings – so even then my feelings were changing. As I matured and life dealt some stunning blows my feelings evolved each time. As I started to learn about how adoption was practiced in today’s world – some areas I liked – others stuck in my craw – others just left me angry that in decades since I had been adopted, little to nothing had really been learned. Several things really need changing. I don’t think I can narrow it down to just one. Adoption Advocates and people who self label as Pro-Adoption need to stand up and support adult adoptees in fighting for our right to our Original Birth Certificates. You can’t be an Adoption Advocate or Pro-Adoption if you don’t support and work for Adoptee Rights. Agencies need to stop promoting that the mother has a right to a confidential adoption – full stop. Instead they need to focus on education of why that is harmful to the one adopted, not just in the equality battle, but in terms of self-identity, self-worth, self-esteem, and health wise. Even if the mother wishes no contact during childhood – I have no doubt that any mother who was provided that type of education – would choose to deny to at least meet her adult child answer any questions. The profit in adoption needs to go, and above all – stop spending millions of dollars each year advertising for mothers to choose adoption, counselling needs to be non-directive, instead of what now which appears to only show her adoption is better than her parenting. So many other areas of concern here, the prospective parents at the hospital bothers me no end – nor should the SW show up the minute papers can be signed – rather only if, or when, the mother calls them. 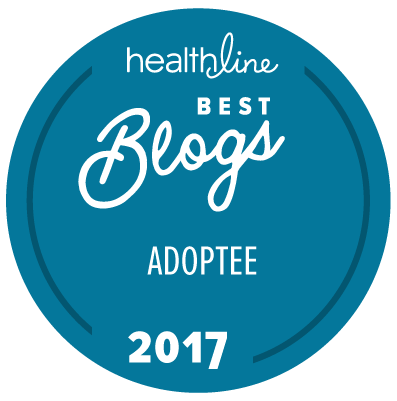 We should be working to make adoption rare and not the norm. The implications of the new knowledge of how stress affects the fetus should be a serious area of study when it comes to adoption. There is absolutely no doubt in my mind that a mother considering adoption will be under great stress, and the implications long-term for the child are too great to ignore. I talk about the research in this post. Yet adoption advocates are trying to find ways to get more mothers to choose adoption – rather than finding ways to help them in the early years, things like paid mat leave through unemployment – Canada has a year and your job is secure, so why isn’t that possible in the US for starters. I could go on, and on, because so much could be done better – but will close with this. Fix the damn problem of the family health history void – that form filled out at birth is pretty much useless within a couple of years, even if by some miracle it is comprehensive on both families – it assumes no one else in the family will ever get a new diagnosis, no more family members born, no one died of a hereditary disease, or at an early age – over the entire lifetime of the adoptee. Quick video from Fox News of all places – that just hits the highlights of why it is so important.